After his mother's death he abandoned his career and became a Buddhist monk. He used up a large portion of his wealth from 1935 onwards in his thirty year project to recreate important temples and shrines beside the mansion his mother used to live in. Adding his own improvements and revisions to the classics and keeping the buildings in prefect symmetry, he created his vision of a holy place of gratitude for his mother. It is, without a doubt, a lovely example of kitsch. 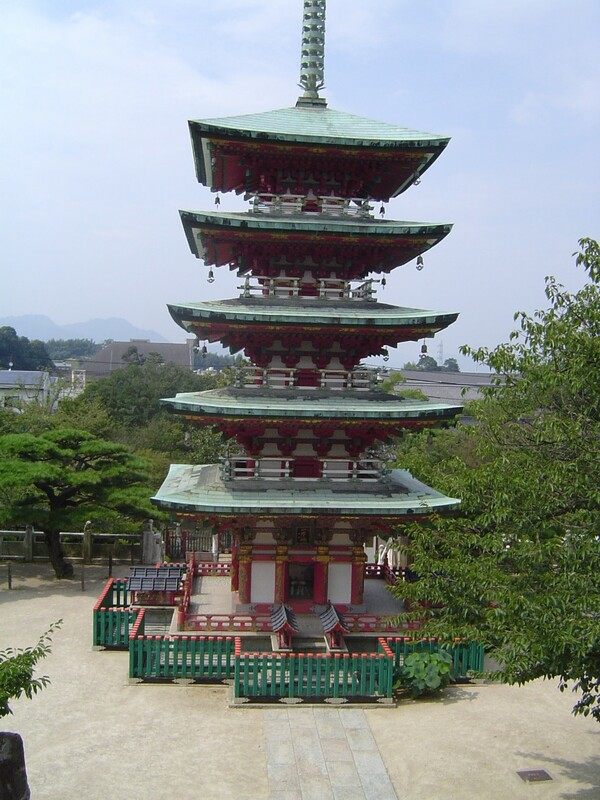 Fortunately, Kanemoto Kozo sentimental nature did not effect the skills that had made him so wealthy in the first place and all the buildings are incredible examples of artistry and design. 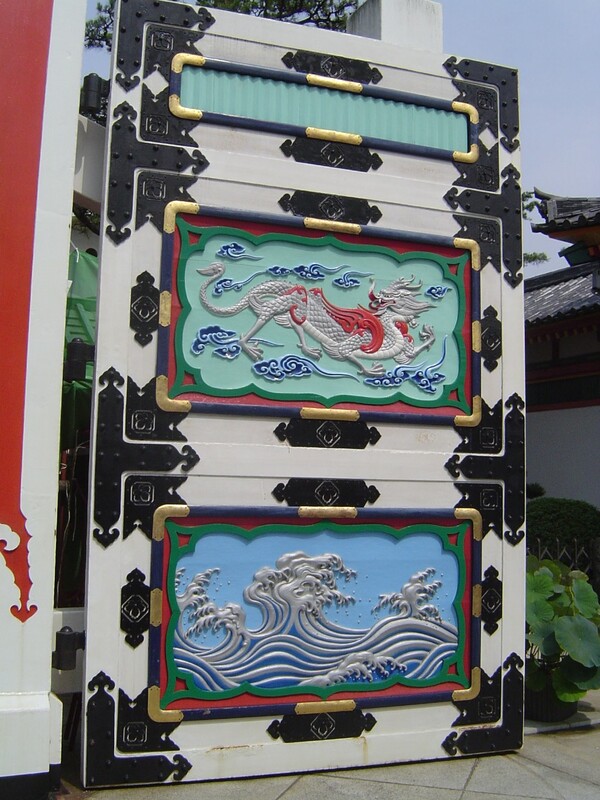 The most famous reproduction at the temple is of a Nikko gate. If you can't see the originals then this is a good close second if you don't mind paying the 1,200 yen to enter. 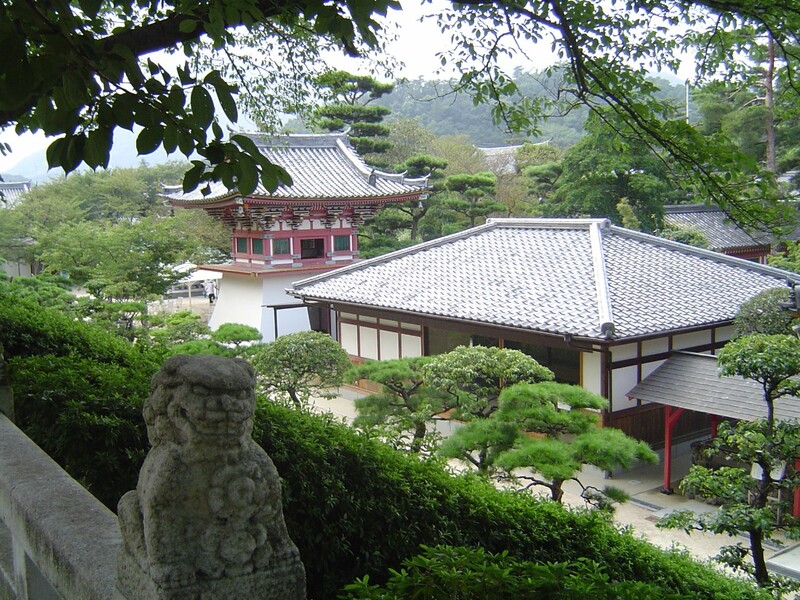 The temple grounds contain representative examples of many types of temple and shrine buildings and your entrance fee goes a long way to ensuring that everything is spotless. 15 of the buildings are nationally registered as cultural properties. Grab a copy of the Japanese pamphlet as the English version didn't have a map in it when I went. It will take over an hour to take a good look at every building. There is a two buildings you can enter and view parts of the museum collection as you wander up to the main building. 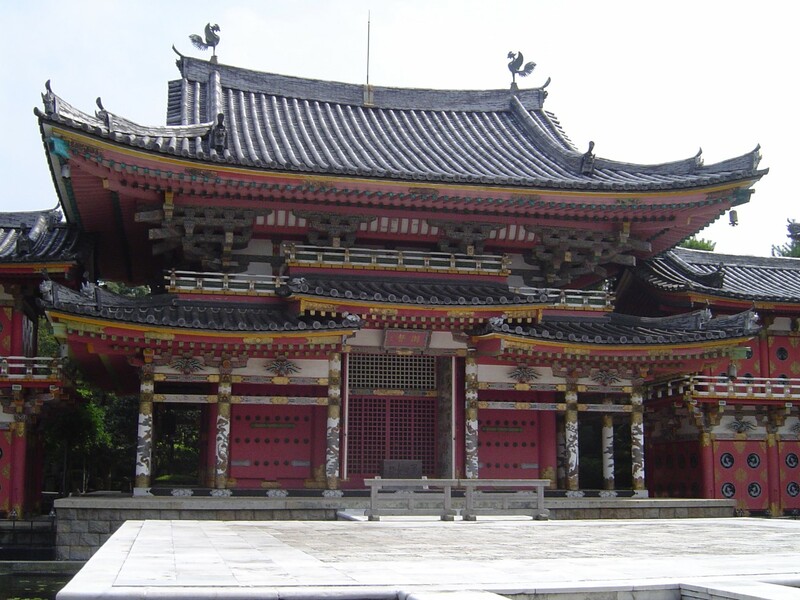 Near the main building is a copy of a gate in Nikko near Tokyo. Next to the main building is a path through a man-made cave which takes you on an amazing journey under a section of the temple. After passing the stone statues of the guardians of travelers, you walk by a series of artworks depicting buddhist version of 'hell' where demons rule and lesser humans are sliced, diced, squished and mangled. Next, you pass into an incredible section of twisting tunnels and spiral staircases lined with 1000 Buddhas. Finally, you pass through into salvation and out into the light again. After walking through the caves the path heads up to something completely different. 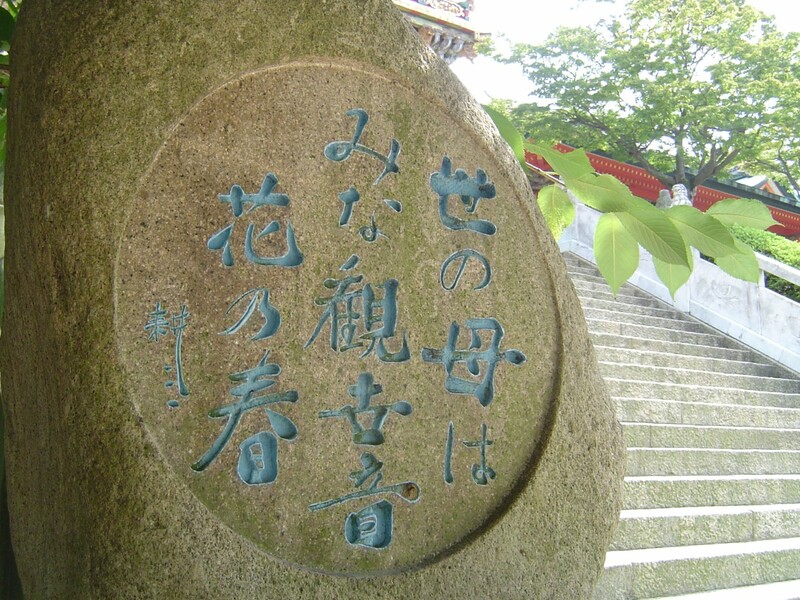 Sitting on the hill above the temple area is Miraishin no Oka (The Heights of Eternal Hope for the Future). This white marble sculpture garden caps the entire hill and is world renowned marble artist Kazuto Kuetani's masterpiece. 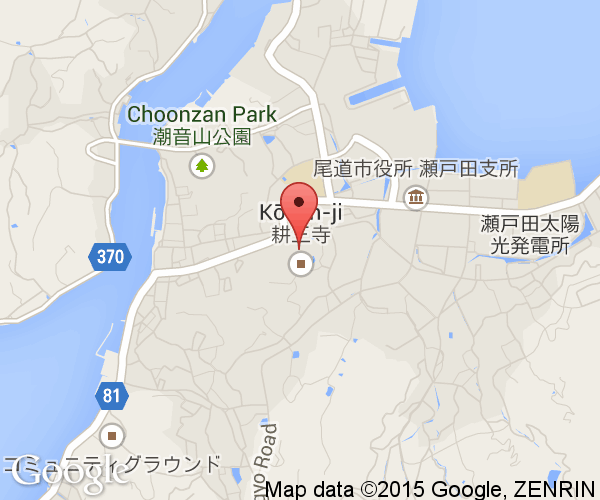 At the end of the tour is Choseikaku Villa which was the second house of Kanemoto Kozo's mother. 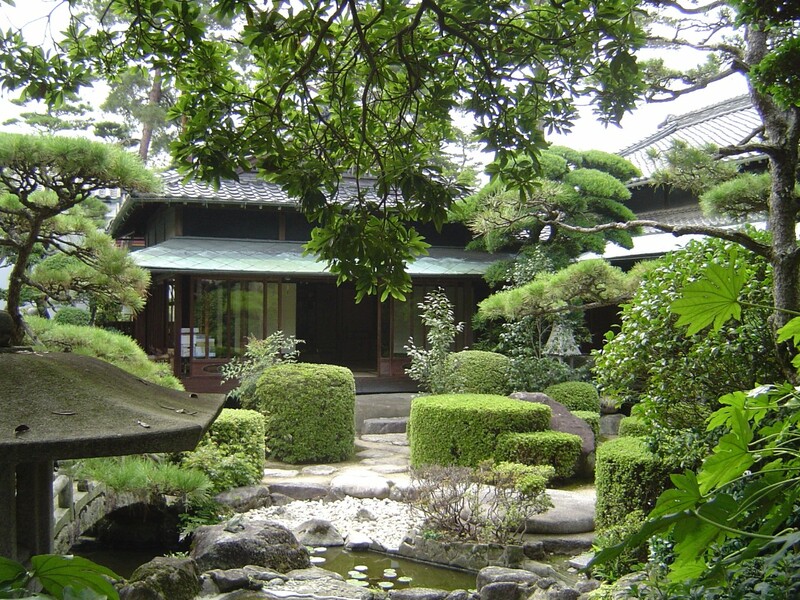 It is a registered Tangible Cultural Property and is an example of an early Showa period (1929-1989) mansion. Kanemoto Kozo designed and built specifically for his mother and the rooms that his mother spent most of her time in are simply gorgeous. The building design incorporates western furniture and fixtures into an otherwise very traditional residential design. Previously an additional charge, the tour of the house is now included in the main entrance ticket price. Kanemoto Kozo was also a collector of art and many of 2,000 pieces that are part of the collection now are on display at Kosanji and across the road in the museum annex. The collection is mostly made up of Buddhist art, tea ceremony art and modern Japanese art. 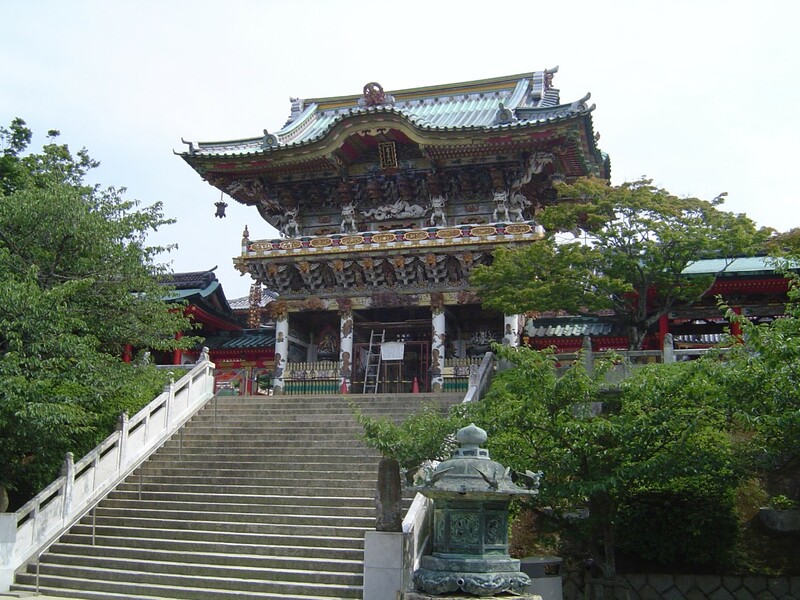 Kosanji Temple is on Ikuchijima Island in Setoda Town. The town can be reached from Ehime Prefecture or Onomichi City in Hiroshima Prefecture via the Shimanami Expressway. Frequent ferry service to Gawa Port (15 minute walk to the temple) in Setoda Town leaves from Sunami Port, south of Mihara City.